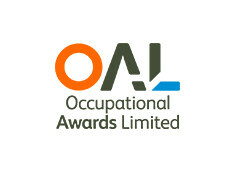 Occupational Awards Ltd (OAL) is a specialist UK Government approved awarding organisation, developing and awarding regulated qualifications across a range of sectors in the UK and Internationally, including furniture, wood, health and safety and food and drink. We work in partnership with employers, colleges and training providers to ensure that our qualifications provision is responsive, flexible, rigorous and quality assured. OAL’s customer service delivers efficient, flexible and focused approach to development, delivery and certification of qualifications. Our specialist industry focus gives customers the skills they want, in the way they need, through nationally recognised qualifications, as well as tailored qualifications to meet specific customer needs.